We work closely with several lenders to ensure our clients get the best service and the best loan options possible. 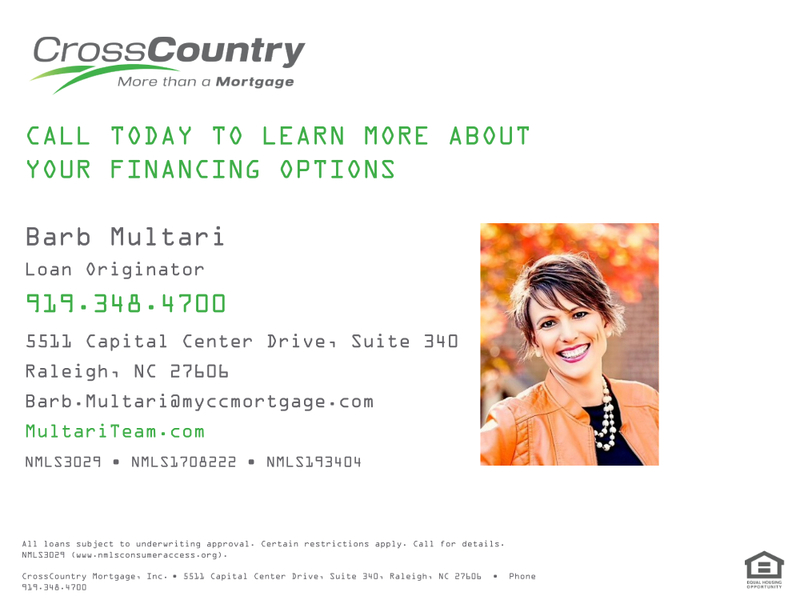 Barb Multari With Cross Country Mortgage & her team offer the same high quality, customer focus service our team prides itself on too. Give Barb a call to explore your financing and refinancing options.